Didn’t find an answer for your vehicle’s problem? Found your answer but just need a little extra support? Been told too many things by too many people? Need advice or just plain confused by your vehicle’s problems? Tired of searching for a solution to your vehicle’s electrical or air conditioning problem? Sparky is here to help! Sign up for an Ask Sparky Account to get one-on-one support from Sparky, Your automotive electrical and air conditioning specialist. It is free and there are no gimmicks. I do accept Support Donations through a PayPal link. You Do Not have to have a PayPal account in order to use a credit card to offer your appreciation for help received. Once you have created your account below, you’ll be given access to an Ask Sparky Form where you will provide the necessary details about your vehicle and it’s issues as well as your contact information. You will need to be logged into your “My Account” page to view replies from Sparky and continue the conversation. Have a hard time describing the problem? Need to know what a component is but don’t know how to describe it? After completing your sign up, you can also upload images and supporting files related to your vehicle’s concern. * A question and answer session is for one vehicle and one topic. You have selected the Ask Sparky Account membership level. 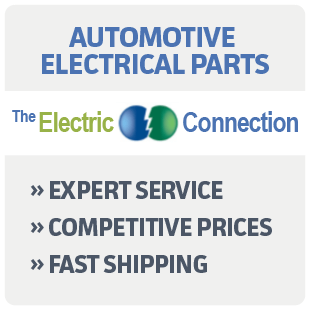 Can’t find an answer to your automotive electrical issues? Ask Sparky directly – and he’ll answer your question within 2 business days. By entering, using, viewing, or requesting any information or resource provided from or through Sparky's Answers and/or by registering as a membership with Sparky's Answers, you understand and agree to be bound by the terms detailed in these Usage Documents. You also understand that these Usage Documents may be updated by us from time-to-time, without notice to you. It is your responsibility to review the most current version of each Usage Document, including this one. Members of Sparky's Answers are also regulated by our guidelines and member agreement. As stated above, members of Sparky's Answers agree to receive certain email from us as part of their membership on our website. It is very easy to configure your account to receive less email, and to cancel your account if you wish to stop receiving all Sparky's Answers emails. However, some members choose to falsely report our email as SPAM, either to their ISPs or the anti-SPAM organizations like SpamCop. In the event that a member falsely reports our email to them as SPAM, their account will be permanently deactivated, and they will not be permitted to reactivate it, nor will they ever be allowed to create a new account on Sparky' Answers. Any information submitted by members to the "interactive" portions of our website is considered to be Interactive Content (henceforth "Content"). Examples of Content include, but are not limited to, forum posts, chat room discussions, question and answer sessions, files uploaded to this website, comments on other members' Content, etc. You retain all ownership rights to the Content you submit to this website. However, by submitting this Content, you grant Sparky's Answers a nonexclusive, royalty-free, perpetual, irrevocable, and fully sub licensable rights to use, reproduce, modify, adapt, publish, translate, create derivative works from, distribute, and display such Content throughout the world in any medium. You grant Sparky's Answers and sub licensees the right to use the name, city, state, country, and zip code that you submit in connection with such Content, if they choose. You represent and warrant that you own or otherwise control all of the rights to the Content that you submit; that the Content is accurate; that use of the Content does not violate this agreement and will not cause injury to any person or entity; that the Content is not unlawful, harmful, threatening, abusive, harassing, tortuous, defamatory, vulgar, obscene, libelous, invasive of another's privacy, hateful, or racially, ethnically or otherwise objectionable; and that you will indemnify Sparky's Answers for all claims resulting from Content you supply. Sparky's Answers has the right, but not the obligation, to monitor and edit or remove any activity or Content. Sparky's Answers takes no responsibility and assumes no liability for any Content posted by you or any third party. Sparky's Answers employs various technological features that can result in some member messages not being visible to all members, based on a variety of factors including: membership status, rating history, member preferences, and more. Posting a message on Sparky's Answers does not guarantee that your message will be visible (or remain visible) to all or any members. Sparky's Answers may occasionally make changes to our pricing structure or other premium membership policies. Premium subscribers will be notified of major changes by email at least 30 days prior, providing time to cancel memberships should a member not agree with a policy or rate change. For this reason, it is very important to make sure the email address on file with Sparky's Answers is correct, and is accepting our email (i.e. not blocking our messages due to email filters). No portion of this website (including, but not limited to, Interactive Content) may be reproduced, duplicated, copied, sold, resold, or otherwise exploited for any purpose without express written consent of Sparky's Answers. You may not use any meta tags or any other "hidden text" utilizing Sparky's Answers name or trademarks without the express written consent of Sparky's Answers. Any unauthorized use terminates the permission or license granted by Sparky's Answers. Duplicate Accounts. Each person may have no more than one account opened with Sparky's Answers at a time. We reserve the right to cancel duplicate accounts, at our discretion. Attempting to establish, and use, more than one account at a time may result in the termination of all accounts registered in that name. Any attempt to access this network using a false identity, or to establish a membership account under false pretense, constitutes unauthorized access to our computer systems without our permission, and is prohibited. Reference herein to any specific commercial products, process, or service by trade name, trademark, manufacturer, or otherwise, does not necessarily constitute or imply its endorsement, recommendation, or favoring by Sparky's Answers. Members of Sparky's Answers may not promote themselves or their products in any area of this website, except where explicitly stated otherwise (e.g., sponsor web pages, Classifieds Forum, etc.). Members may not solicit sales for or promote the products, services, or work of any entity with which they hold a personal or business relationship. Advertisers, Sponsors, and Affiliates. You may encounter, throughout this website, various advertisements by paid advertisers, sponsors, and affiliates of the website. You agree that Sparky's Answers shall not be responsible or liable for any loss or damage of any sort incurred as the result of any dealings with, or as the result of the presence of, such advertisers, sponsors or affiliates on this website. Sparky's Answers reserves the right at any time to modify or discontinue, temporarily or permanently, the services or information provided by this website with or without notice. You agree that Sparky's Answers shall not be liable to you or to any third party for any modification, suspension or discontinuance of the services or information provided by this website. You may not use Sparky's Answers website for the purpose of sending unsolicited commercial email (a.k.a. spam) to our members, or for the purpose of collecting email addresses to spam. Using any list of email addresses that contains a substantial number of Sparky's Answers member addresses is considered a violation of this agreement, regardless of whether you compiled the list yourself or obtained it elsewhere. We reserve the right to immediately terminate any member account suspected of spamming, or preparing to spam, our members. This determination is normally made through complaints received from members and/or security monitoring done within our website. Trademarked materials appearing on this server are owned by those persons and companies holding the trademark. The Sparky's Answers logo is a trademark of Sparky's Answers. All other trademarks are the property of their respective owners. You may not post any copyright- or trademark-protected information to this network. Sparky's Answers is not responsible for providing notice of, or enforcing any such restrictions. You will not libel, slander nor in any other way depict a company, entity, or service in a false light on this network. Should you do so, the legal consequences are yours alone. Sparky's Answers takes copyright infringement very seriously. We will actively pursue any infringement that takes place on the website. If you believe that an infringement has taken place, please follow the directions below. Note: Please don't send attachments without first contacting us to arrange it. While this website is made available for the dissemination of valuable information to other members of the automotive industry, you agree not to hold Sparky's Answers liable for false information, nor any discussions, instructions, ideas, etc. that lead to injury or loss of compensation. Manufacturers' guidelines should always be followed; this website provides a means of applying visual images and real world work experiences that aide in understanding a manufacture's service information. You must always refer to official resources and manuals before using any information that you find on the Internet, and confirm all procedures with the appropriate manufacturer or specialist before proceeding. You understand and agree that the Sparky's Answers is not responsible for any errors created in or damage to information you submit as a result of any changes made to this network. YOUR USE OF THE SERVICE IS AT YOUR SOLE RISK. THE SERVICE IS PROVIDED ON AN "AS IS" AND "AS AVAILABLE" BASIS. SPARKY'S ANSWERS EXPRESSLY DISCLAIMS ALL WARRANTIES OF ANY KIND, WHETHER EXPRESSED OR IMPLIED, INCLUDING, BUT NOT LIMITED TO THE IMPLIED WARRANTIES OF MERCHANTABILITY, FITNESS FOR A PARTICULAR PURPOSE AND NON-INFRINGEMENT. ANY ERRORS IN THIS WEBSITE WILL BE CORRECTED.